Healthy and fair glowing skin is every girl’s dream. Who doesn’t want to look fair and beautiful? Even men wish to look fair and handsome. Pollution and sun tan are some of the reasons of dull skin. Most of them purchase fairness creams and medicines that improve skin color, reverse the effect of sun tan and so forth. But, these products can affect your skin in the long run. Many herbal remedies can do wonders on your skin. These herbal products can save a lot of money over the course of a few months. Most of the products found in the market today target people, who are searching for remedies to cure skin problems and get a fair and glowing skin. 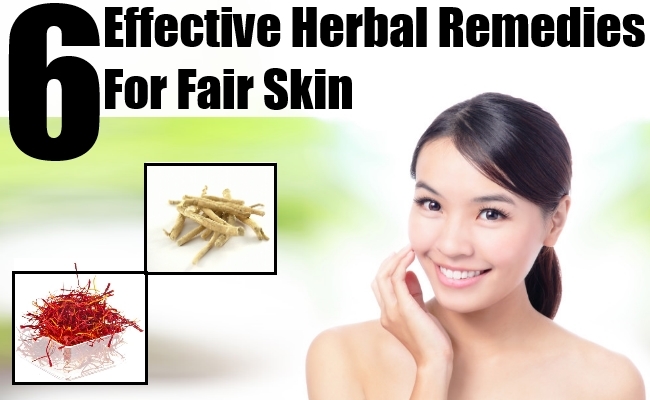 This article will educate the readers with the natural and herbal remedies to get a fair skin. Here are some of the natural remedies that would nourish your skin with all the vitamins it need. Sandalwood has been traditionally used as a cosmetic agentsince years. Prepare a mixture of sandalwood with rose-water. Apply it thrice a day. It not only adds shine to your skin but also improves your skin tone. Sandalwood also softens your skin and adds glow to your cheeks. It reverses the effect of sun tan as well. It is the most popular herbal remedy used in Ayurveda. It is a mixture made of herbs Am-la (Indian gooseberry), Haritaki (Chebulic Myrobalans) and Bibhitaki. Take three spoons of triphala churnam and add it to 450 ml of water. Soak it overnight. The next day, boil this water till this liquid gets reduced to a 100ml brown colored solution. Strain the solution and apply this water on the skin. Later you can apply any natural pack. Right usage of triphala churanam can cure any disease. Turmeric is probably the first thing that you think of when you want a fair complexion. Curcumin is the key ingredient in turmeric spice, which has skin-lightening and antioxidant properties. A mixture of turmeric with fresh milk on daily application can give you surprising results. Massage your skin with Aloe Vera gel and wash off with cold water after few minutes. Apply it twice a day. Aloe Vera contains mucilaginous polysaccharide (MPS) which lightens skin tone and adds glow to your skin. It can be used as a facial toner. Aswagandha oil can made from aswagandha, almond oil and rose-water. Massage your skin with this oil regularly and you can see visible results. Within a few days, you can see the improvement in your skin tone. Saffron has all the essential properties to improve skin tone. A mixture of Saffron and fresh cream when applied to skin can show positive results within a month. It not only improves skin tone, but also removes the marks and scars left due to acne and pimples. These natural remedies are based on the principles of Ayurveda, the ancient Indian Science of healing. They are completely non-invasive which are easily prepared at home. You’ll not have any side effects. Isn’t it cool?